Aside from my own soaps, we use vinegar, baking soda, hydrogen peroxide and other “green” cleaning products in our home. Admittedly, some of them do not clean as well as conventional ones so I was excited to try H20 at Home‘s products in return for a review. Here is what came in the mail: Netepur Soap, Cleaning Clay, Dish Soap, Double Sided Microfiber Sponge and an Essential Multi-Surface Chiffonnette. While I will not review their bar soap as it would be a conflict of interest, I can review their other products. The one thing I do have in my cleaning closet is Windex because nothing cleans shower doors and mirrors like it does. However, I read that H20’s Cleaning Clay can be used on ceramic, pots, pans, granite, sinks, ovens, mildew, glass, shower doors, silverware, stainless steel, jewellery and grout. I decided to try its powers on my son’s shower doors, which have not been cleaned purposely (yeah right) in weeks. This is what it looked like before using the Cleaning Clay on it: pretty cloudy and dirty. This is what it looked after I applied the Cleaning Clay over it: almost spotless except for the bottom bit that I missed. And I didn’t try that hard. Cleaning it was very simple, quick and didn’t require tireless scrubbing. Soak the small white sponge inside the container with water. Place on the white clay and slide it to create a foam. 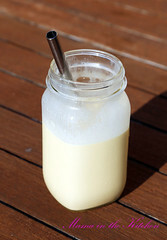 Apply this foamy substance all over the dirty glass door with the white sponge. Use the scrub side of the Double Sided Microfiber Sponge to lightly mix in and spread the Clay all over the glass door properly. Clean off the Clay by rinsing the Double Sided Microfiber Sponge and wipe the door clean with the soft side of the sponge. Wipe off excess water with the Essential Multi-Surface Chiffonnette. Notes on the Cleaning Clay: the results were much better than I was expecting. And it only took a few minutes. I really like this Cleaning Clay. Notes on the Double Sided Microfiber Sponge: it worked well in bathroom cleaning but I wouldn’t use it to scrub pots and pans. The scrub side is a little too soft for kitchen purposes. Notes on the Essential Multi-Surface Chiffonnette: I used it recently on my dirty computer screen and not a dust remained on the screen, although I saw some in the air as I cleaned. So, I’m not sure it works quite well in trapping all the dust. I have both Seventh Generation and Dawn under my kitchen counter. I also use my own handmade coconut soap for pots, pans and dishes. I don’t make my own liquid dish detergent, so I feel this is not a conflict of interest to review their product. The bottle is not the easiest to use. I use gloves when cleaning and when I squirt the bottle, half of the detergent goes on my gloves and not where I want it to go. That said, two small squirts are indeed enough to clean a whole pot. There isn’t a lot of lather, but it cleans well enough. Glass cleans and dries off amazingly clear without streaks and water marks. Same with stainless steel. The smell does not bother me like commercial products. I have not tried it with my gloves off to test for skin sensitivity issues. Notes on the Dish Soap: the detergent works better than the bottle. I’d definitely buy the Cleaning Clay and the Double-Sided Microfiber Sponge! This is a Father’s Day idea for a guy that is more man than beautician. I asked my “I-don’t-even-own-a-hairbrush” husband to try some natural skin care products for men for my blog. I didn’t think he would agree, but since his friend works at Ursa Major, I think it made any persuasion much easier. – delightful experience – sublime natural aromas, delightful textures, smart packaging, copy, etc. In other words a spirited, sincere, natural alternative to all the bland, synthetic, mass-produced stuff out there…” Their first product, the Stellar Shave Cream, was launched in December 2010. My husband used the shaving cream, wash, toner and balm for about a month. We took before and after pictures and we don’t see any differences in the wrinkles department (a department he was not aware he had), but my husband’s very sensitive skin did not break out at all and his skin also seemed to be smoother to me. Shaving cream usually gives hubby rashes or leaves his skin dry. He has had a hard time finding product that doesn’t make his skin break out. In fact, he won’t shave unless an event dictates the need for a clean look. Nevertheless, the Ursa Major Men Shaving Cream worked wonderfully. The Facial Wash also worked well. For the first week, my husband’s skin was dry if he did not follow the wash by the moisturizer. This was not the case after the first week in that his face felt hydrated all the time. My husband also noticed that the toner and wash made his hands softer but not less durable – just simply through exposure after applying cleaner/toner/balm to his face. My husband rows 5 to 6 times a week (an internationally ranked rower) and found that he was not getting any additional blisters. In fact, his palms are more flexible and softer. For my husband, these are significant improvements due to the use of products. Overall, my husband says these products work as well as or more than processed products for sensitive skin. They are easy enough to use for someone (a man who is) not really interested in a daily prep work for the face. 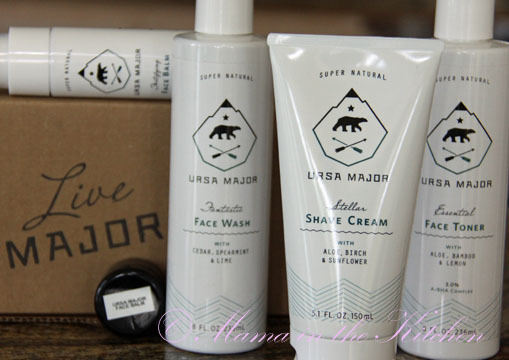 If you are interested, you can find Ursa Major in various retailers around the world. Did it pass my cosmetics criteria? 1. smell – Not much. Very mild. 4. moisturize – Worked well with little dab. 6. lasting effect – yes, it lasts the whole day. 7. eco-friendly – these products do not contain any foaming agents, slip agents, surfactants, fragrances, coloring agents, preservatives, penetration enhancers, or other unnatural ingredients. My first taste of Raw Vegan Cheesecake was during a private ‘un-cooking’ lesson with Sharon Wright. I was surprised at how the cashew, lemon and honey together tasted like pure cream and how it just melted in my mouth. It was her Cheesecake that got me HOOKED on RAW desserts! I would order meals and juices from her once in a while too. 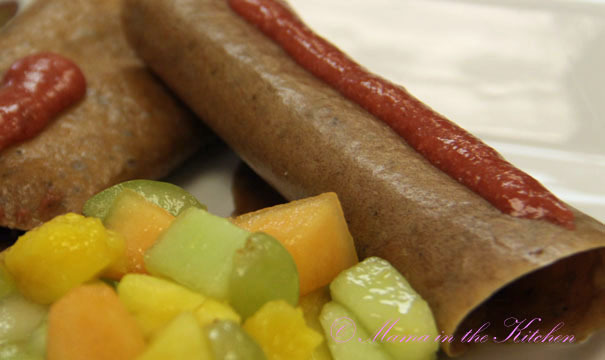 Fast forward a few years later, Sharon now runs her own Raw Vegan Restaurant called Good Life Cafe in West Columbia, South Carolina. 2. my son tends to get some kind of nut allergy at most raw vegan restaurants. Sharon’s food has never given him problems before because she was always careful preparing his food… but one never knows how careful other chefs/cooks are in a bigger operation. The minute we walked into the restaurant, we were amazed at how many people were dining there. At around 1pm, the 3 of us were able to sit at the last free table. Moments later, 2 groups of people came in and they had to wait at least 10 minutes to sit down. The waitstaff were very busy, but after ordering, the food came out very quickly. Looking for fast food? This is it! Banana Crepes filled with strawberries. Sharon made these without cashew cream for my son. My husband found them a little too chewy, but my son enjoyed them immensely. Eggplant Bacon Sandwich. 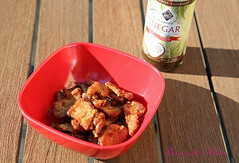 My husband loved the eggplant bacon. He didn’t care for the bread, but he said the eggplant bacon alone or as a topping in salad would have been delicious. 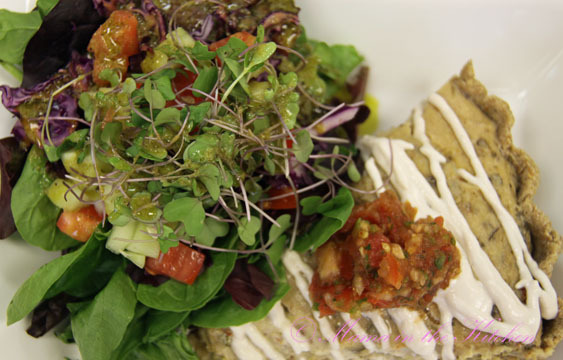 Vegetable Cashew Quiche. I really should have eaten half of the huge Southern sized portion and brought the rest home for later, but I indulged and finished the whole thing instead. It was wonderfully creamy! Biscuits with Gravy: my husband ordered this, but I could’ve finished it and would’ve been happy to exchange. I thought this was the BEST of all the dishes we ordered. Delicious, wonderful texture, just the right amount of gravy. Now I want to make some for myself! 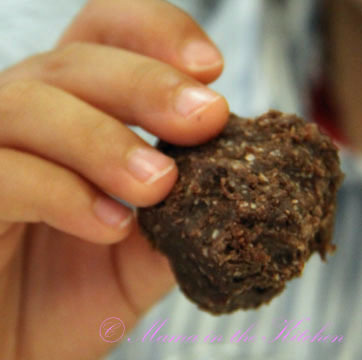 Chocolate Coconut Balls: my son loved this, but we both really loved the Cinnamon Rolls. Very sweet but delicious, the Cinnamon Rolls were topped with a Macadamia Cream and filled with Sweet Pecans… No wonder I don’t have a photo… It was gone before I knew it. I had a great time at my own Mother’s Day brunch. Besides my hubby cringing at the $93 bill for 3, we were satisfied overall with our meal and the service: I didn’t have to slave away to make our meal myself, the dishes were tasty, my boys were full, plus my son didn’t vomit everywhere (always a good sign that the chefs are clean and conscious about cross contamination). What’s more, Sharon dreams of expanding nationwide! Watch out! 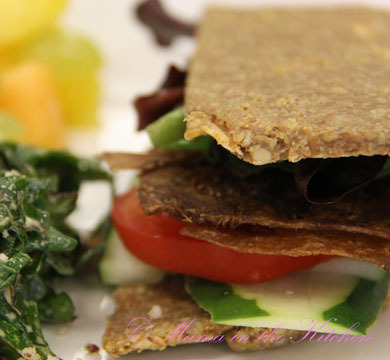 You may see her Raw Vegan products at your own local health food store within a year! Local peeps – she’ll be selling at Earth Fare soon and opening up another shop in downtown Columbia soon! Well, I tried the Anti-Aging Cream a few years ago and didn’t like it. It just didn’t work for me then. But my friend Cayce recently reminded me of Raw Food Advocate, Tonya Zavasta’s, Beautiful on Raw Products after she tried the Multi-Herbal Green Clay Mask. Cayce said she absolutely loved it. So, I decided to give it another try recently and was really surprised because it works! Apparently, just this year, Tonya tripled the amount of sea buckthorn fruit extract in her cream… and it has made a big difference! My skin feels wonderfully hydrated during the day and night. In fact, in my vain search for Vegan cosmetics, I think among the moisturizers, Your Right to Be Beautiful Facial Cream has given me the best results so far in hydrating my skin and for lessening my wrinkles. Yes, in my opinion, even better than Acure’s moisturizers! Less wrinkles and more hydrated on Your Right To Be Beautiful Anti-Aging Cream… and no make-up in this photo too!! I also decided to try the Volumizing Shampoo and was surprised again by Tonya’s products. The shampoo lathers very well. Although every time I use it I feel like the suds are stripping my hair of its natural oils as I rinse, but my hair is always easy to comb afterwards and as it dries, I find my hair just ‘falls’ well. I’m wearing my hair down again without doing anything to it. My son, who has had a fetish for his Mama’s hair since he was born, exclaimed as soon as he touched my dry hair after I used this shampoo, “Mama! You’ve never had softer hair! It’s like baby hair!” And this is true, I haven’t had softer hair since using ‘healthier’ shampoos. My son wanted to take this photo of me today while we were playing in the garden. It is rare for me to leave my hair down because it is so fine and thin. I don’t have the time to fix it nor do I want to put product on my hair. I only have time to wash, comb and let it air-dry. My hair falls well naturally with Tonya Zavasta’s Volumizing Shampoo! I am truly surprised by the quality of Tonya’s cream and shampoo! To me, her website seems a little dull and old compared to the more updated websites of Acure, Suki or even 100% Pure. The packaging of the Your Right To Be Beautiful products also looks cheaper. The woman I was e-mailing at her company didn’t know how to entertain the idea of sending me samples to review. She didn’t. And in fact, she stopped responding to me, so I had to buy the cream and the shampoo for this review from my health food store. Judging from the website and my communication with its representative, this company does not seem like it would have quality products… but they do! The cream and shampoo are definitely worth a try! Now I want to get her facial brush and start dry brushing my face! Did it pass my cosmetics criteria? Absolutely! 1. smell – I love the smell of the cream. It smells luxurious. I’m not crazy about the Lotus Flower smell of the shampoo, but it smells… ‘clean’. 2. sensitivities – none. It says it is safe for very sensitive skin. 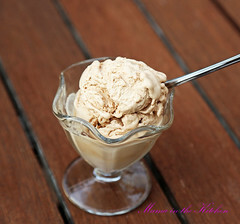 3. taste – no adverse taste when I drink water right after the application of the cream. 4. moisturize – Yes it does (cream and shampoo)! 5. everyday comfort – Yes. An all-in-one cream that works is a wonderful product for a busy Mama who just wants results with minimal work. As for the shampoo, it softens and at the same time adds volume to my thin and fine hair! 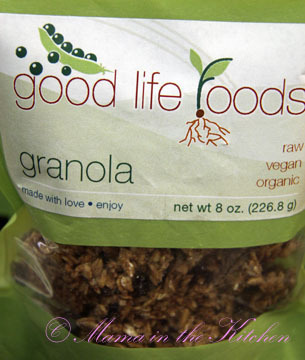 7. eco-friendly – The ingredients are Vegan and a handful are Certified Organic. Not exactly completely RAW like Bee Yummy’s products, but, as a Raw Foodie, Tonya says she keeps the quality of her beauty products as high as she can too. 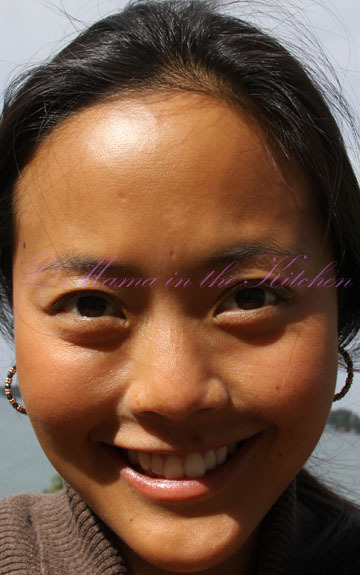 She sources the best ingredients that she can for the products that she personally uses and sells. Besides 100%Pure, Acure was the most recommended Vegan cosmetics brand by my community of Mamas. 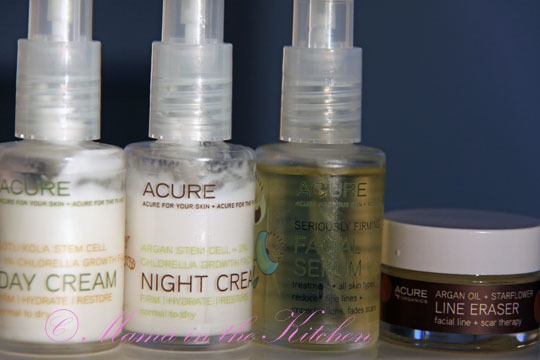 I should have started out my vain quest for Vegan products that really work with Acure face creams The Acure face products I recently purchased were amazing: Day Cream, Night Cream, Facial Serum and Line Eraser. I shouldn’t be surprised because I love their Lemongrass Argan Oil Shampoo (they gave me a bottle sample) and their Acure Oil (I bought this). During the last 2 weeks of using Acure face products, my face didn’t miss Clarins at all. In fact, my skin felt absolutely moisturized and I didn’t get an extra amount of wrinkles as I did when experimenting with other Vegan non-synthetic brands. My face, on mainstream, plant-based products with synthetic fillers. 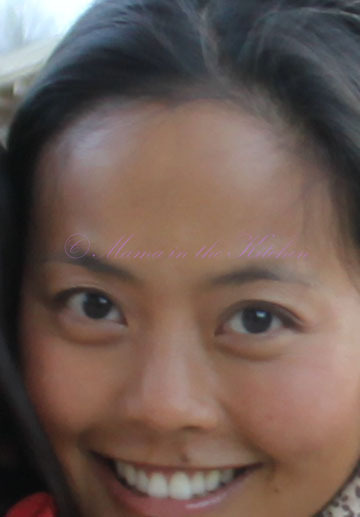 For a mid-30's Mama, people tend to think I'm a decade younger than I really am. I used to think it was all in my diet... but moisturizers, I discovered, have a lot to do with it too! My face, while experimenting with new plant-based, natural and non-synthetic products... dry... and, as my hubby says, with my wrinkles in full glory. Looking my real age here, I suspect! 2 weeks after Acure, my face is in love with the day cream, the night cream and the facial serum!!!! Moisturized, not wrinkly and without the synthetic chemicals!!! I'm back to feeling young again! 1. smell – wonderfully mild in fragrance. They didn’t bother me at all. 2. sensitivities – my skin did not break out with any of the products. To me, they felt very mild. My skin also did not feel dry and unprotected. 3. taste – after I used the product, there wasn’t a bad taste when I would drink water or eat immediately afterwards (something my mainstream products do!). 4. moisturize – with a lot of Vegan moisturizers, I usually missed the creaminess of my mainstream brand. I also tend to miss how Clarins seemed to penetrate my skin. I didn’t have to miss this feeling with the Acure products at all. FYI, I loved the Serum over the Line Eraser, as the former seemed to do a better job reducing the wrinkles. 5. everyday comfort – the creams are mild, light, non-greasy, not shiny, absorbed easily. The serum is absorbed quickly too, although it is an oil and is a little greasy. I applied only a little serum at night and for a wee bit of grease, the reduction of wrinkles come morning was all worth it. Makeup was applied on easily after using the day cream. 6. lasting effect – yes! I love these products!!! I haven’t tried anything my face loves better than Acure face products so far. Note: the day and night creams contain Cholorella Growth Factor. According to their website: “Clinical studies have shown CGF to increase collagen expression by 333% when used at 1% concentration*. Our anti-aging products use our CGF at an amazing 5% concentration.” Hmmm… so that’s what my face needs! I decided to go ahead and buy myself an affordable “To Go Complete Care for Youthful Skin” kit from Suki after taking their Skin Quiz. I figured that a week’s worth of products is usually long enough for me to figure out if my skin likes the products and I had the flexibility to use the free samples to compare with the products I bought. I did use up my “To Go” Kit and most of the samples in just over a week. When I sat down to write down the products that I loved and the products that I felt were just OK, it didn’t really surprise me to discover that I preferred the Vegan products over the Vegetarian ones instinctively. I loved how massaging the product in between my hands immediately created an amazing amount of foam, which I then applied on my face. I preferred this to the creamy foaming cleanser (below). I preferred this over the Moisture-Rich Cleansing Lotion – perhaps because I prefer a foaming cleanser to a lotion. The lotion is a Vegetarian product and I didn’t feel it did as a good a job in cleansing my face, particularly on days when I had makeup. it left my face feeling soft and cleansed well without stripping it dry. you can use it as a cleanser or as a masque. I used it as a masque and left it on my face for 10-15 minutes. It dried nicely – not overly tight, just right. it left my skin feeling soft. my skin felt wonderfully moisturized with these oils and made my skin feel very soft in the morning! I love them and after my samples were done, I wish I had more! The week while trying Suki Products. I do have a little make up on, but skin looks great from afar. 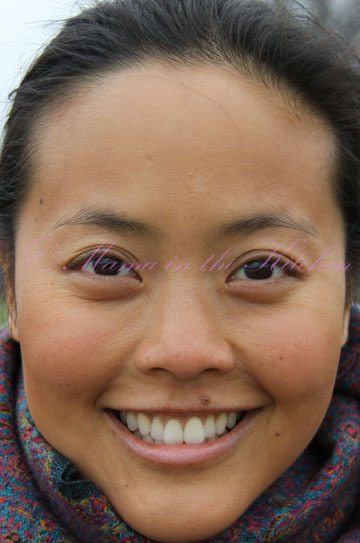 Without make up and an up-close photo taken the last day of testing Suki products. 1. smell – wonderfully mild in fragrance. It didn’t bother me at all. 4. moisturize – I loved the breathable evening oils the most. The Intensive Nourishing Cream was ok. It wasn’t bad at all, but I prefer creamier products. 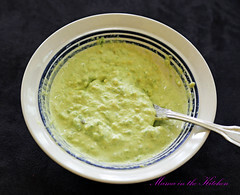 5. everyday comfort – mild, light, non-greasy, not shiny, absorbed easily. Makeup was applied on easily after using the cream. 6. lasting effect – I love their breathable night oils! If I don’t find anything better than the products I loved (outlined above), Suki will be my facial products of choice. 7. eco-friendly – The company, based in Massachusetts, states that it is eco-friendly from it’s ingredients, manufacturing, packaging and shipping, as well as it’s activities outside of the company. Check out their environmental policy here. 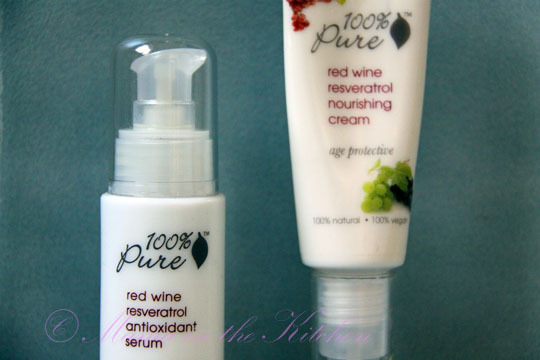 I have had a month long love-and-hate relationship with 100%Pure’s Red Wine Resveratrol Antioxidant Serum and Nourishing Cream. Veronica did warn me that to effectively find a product that works for my skin, it would be a trial and error process – a process I was/am not looking forward to. Not only can such a process be tedious, but also expensive, wasteful and time consuming. Although I knew I was going to get a sample of the nourishing cream from Alex+Von, I got my hands on both the serum and the cream in time for a 2 week holiday. Having heard so many wonderful things about it, I couldn’t wait to try it. My face before the trip: moisturized! My face, while on holiday, 2 weeks after using the Red Wine Serum and Cream: dry, wrinkled and tired. My face a week after the trip: I decided to give my face a break from cream experimentation and went back to my conventional moisturizer. Less dry, less wrinkled and less tired! My face after my 2nd trial run: I decided to give the Red Wine products another try to see how they would do in my home environment without other factors (like traveling, eating differently, etc). After just 2 days, I couldn't stand it any longer. My face, especially around the nose area, felt crumbly and as dry, wrinkled and tired as it did after 2 weeks of using Red Wine products on my holiday. My husband can’t believe I am still using Clarins. “You call yourself a Raw Vegan? What’s wrong with looking more natural, with your wrinkles in all its glory?” Well… I want to make the switch, I do! But, I want to make sure I switch to a product that actually works best for my skin. So, on with the search! Did it pass my cosmetics criteria? NO! 1. smell – it has a mild fragrance. It isn’t strong. 2. sensitivities – my skin did not break out with the serum or cream. They just dried me out. 3. taste – after I used the product, there wasn’t a bad taste when I would drink water or eat immediately afterwards. 4. moisturize – although my face did feel hydrated the very first day I used it, any moisturizing effect just went downhill from there. Although quite greasy, both the serum and cream left my face feeling dry, wrinkled and tired. 5. everyday comfort – The serum is very greasy. The cream is lightly greasy. I found that they were not easily absorbed by the skin and I was left with a light shine all day long. Applying make up afterwards was also not as easy as I am used to. 6. lasting effect – I cannot recommend this product at all. 7. eco-friendly – According to the company: “100% products are truly 100% Pure-no synthetic chemicals, chemical preservatives, artificial fragrances, artificial colors, harsh detergents or any other unhealthy toxins… our formulas are never tested on animals (everything we use is food grade and does not require testing)… 100% Pure products are never diluted with water, alcohol, thickeners, emulsifiers or any other “fillers”. 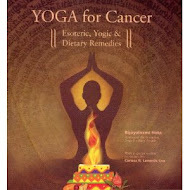 Kate Hudson uses it and it even made it to the Dr. Oz show (look at 1:50 on the video). 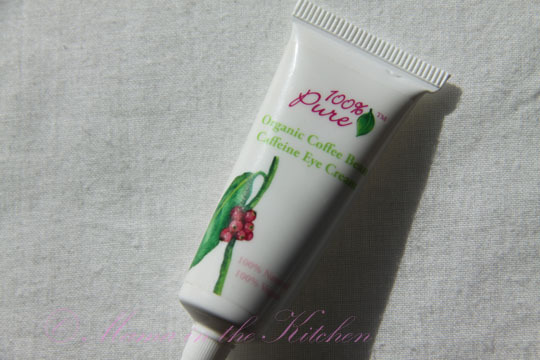 Who wouldn’t want to try this organic coffee bean caffeine eye cream? “As much as 60% of topical skin-care products are absorbed through the skin and into the bloodstream. – Dr. Nancy Lonsdorf, M.D. an lowa-based physician in April 2006 issue of Women’s Health Magazine. 2. sensitivities – It will wake up your eyes, so use it in the morning! The company states that their product “does not contain harsh detergents, chemical preservatives, artificial fragrances that can irritate the skin, they are perfect for sensitive skin.” Plus, 100% Pure is GLUTEN-FREE. As with all natural products, do take note if you do have any allergies to their ingredients. 3. taste – I imagine it tastes like coffee! 4. moisturize – yes. It is not drying. 5. everyday comfort – This is a light cream, non-greasy and easily absorbable. 6. lasting effect – I felt the caffeine effect immediately the first time I applied it. I didn’t feel quite the same way subsequently, but I imagine it is because I now use it in the morning. If you want to buy their products… Just wait! One of you is eligible to win a $25 gift card from Alex+ Von after I review 100% Pure Red Wine Resveratrol Face Serum and Cream and Suki products. If you are thinking about signing up as a consultant at Alex+Von, Veronica has a special surprise for you too! You can contact her directly: colormegreen2 (at) yahoo (dot) com. They can custom make any of their soaps for the Vegan market. A family friend, Stephanie Rohrer, owns and runs Fox Hollow Farm in Maryland with her family. I almost visited once – but have never been. I understand they have a farm market where you can buy vegetables and fruits (along side their animal products) on their farm everyday, except for Mondays in the Winter. Stephanie also happens to be a weaver of soaps and candles for her personal company, Girvins. 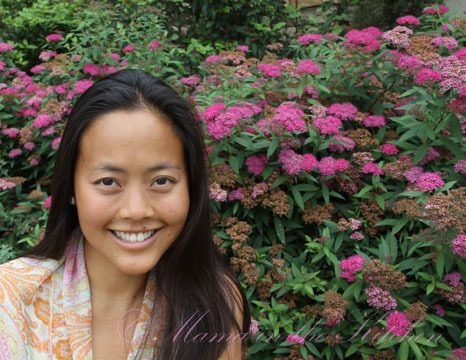 She uses ingredients from her farm to create candles, soaps and body creams. My family was lucky enough to test her Moon Soap – fragrance free and Vegan. Stephanie makes it herself with distilled herbal water, coconut oil, palm oil , olive oil, vitamin E and lye. My family and I loved that her Moon Soap has no fragrance. My son loved the fact that it did a great job washing away my young son’s smelly feet! Where smell is concerned, it does a much better job than our everyday soap, Kiss My Face Pure Olive Oil Bar. The soap lathers lightly with small bubbles, but lathers up well nonetheless. Stephanie said she sells a lot of her soaps to families with kids who have skin issues. I wasn’t surprised then that her soap cleans very well without drying or stripping the skin. 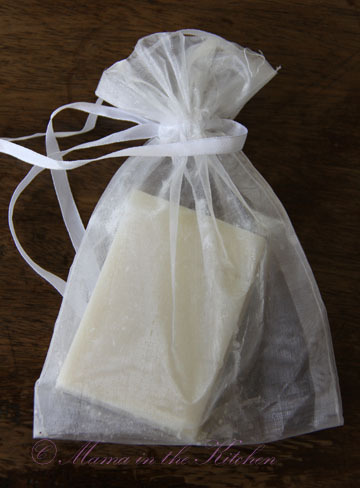 Most importantly for busy Mamas, it doesn’t leave a greasy film on the bathroom (which olive oil soap does). Did Girvin’s Moon Soap pass my cosmetics criteria? 1. smell – no fragrance! Loved that there was no fragrance. My son thought it smelled like cheese, but that was probably the lye. 2. sensitivities – none. This is very mild. 3. taste – not applicable. 4. moisturize – cleans very well without drying the skin or stripping skin of its natural oils. 5. everyday comfort – yes. My son’s feet especially smelled wonderfully neutral after using this soap! And it doesn’t leave a greasy film on the bathroom floor! 6. lasting effect – yes! 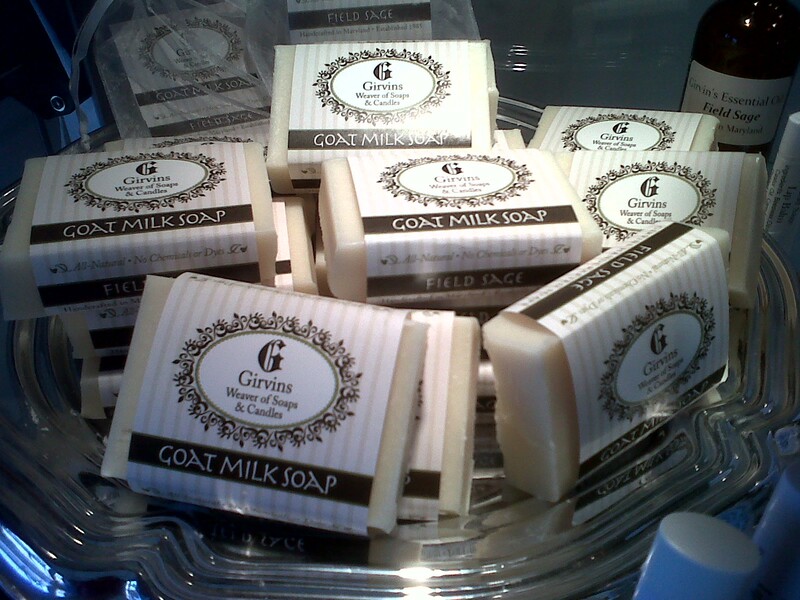 7. eco-friendly – All of Girvin Soaps can be customized for Vegans. In my search for Vegan and Eco-Friendly cosmetics that actually work, many people have recommended 100%Pure. One of my readers, Veronica Medrano Alcantara, also contacted me. Incidentally, she is also a consultant at Alex+ Von, a GREEN company that focuses on natural, organic and ecofriendly boutique brands. They are also dedicated to extremely personalised service in helping their clients find the right solutions for their beauty needs. Veronica gave me her personal questionnaire to fill out in order to help me better choose the right products for my current skin. For my face, she suggested I try Argan Oil, 100%Pure’s Red Wine Resveratrol or Super Fruits. As you all know, I tried Argan Oil for a few days and loved it. Veronica then sent some 100%Pure and Suki samples. I was thrilled for the opportunity to try 100%Pure products after having so many people raving about their products. 100%Pure uses 100% natural and 100% vegan ingredients, many of which are organic. 100%Pure products are also gluten-free. 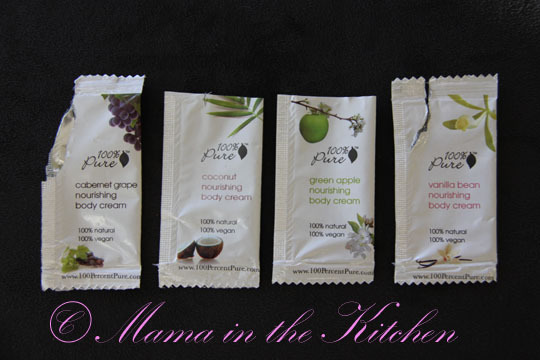 In my packet from Alex+Von, I received 4 sample packets of 100%Pure’s Nourishing Body Cream: Cabernet Grape, Coconut, Green Apple and Vanilla. The top main ingredients are indeed natural and vegan: organic aloe juice, organic rose hydrofoil, cocoa butter, avocado butter, grape seed oil, organic rose hip seed oil, candilla wax, black currant oil, tocopherol (Vitamin E) and ascorbryl Palmitate (Vitamin C). Not quite as Spartan as Sprout’s cream, but all natural and vegan as well! All of the 100%Pure body creams I tried were lusciously sweet smelling and creamy, but not greasy. They spread easily and were absorbed quickly into the skin. I consider these creams wonderfully light enough for day use. If you choose to use these – get ready for olfactory heaven! The Cabernet Grape and Green Apple smell exactly like their fresh fruit, so much so that the nourishing body creams made me feel like I was bathing in their juices all day. My son loved these fruit creams. The Coconut and Vanilla, on the other hand, were my favorites. Both smelled like coffee with strong highlights of coconut or vanilla. With these body creams, I felt luxuriously edible, like I was bathing in coconut or vanilla cream pie all day long. This busy Mama found herself stealing 5 more minutes of my day just to moisturize… that’s how enjoyable these creams are! Did 100%Pure Nourishing Body Creams pass my cosmetics criteria? 1. smell – like dessert comfort food: very sweet and very strong. All natural and NOT synthetically made, but I wouldn’t use this lotion if I were going to a doctor’s office that had signs that said “Please respect allergies and don’t wear perfume in this office”. 2. sensitivities – The company states that their product “does not contain harsh detergents, chemical preservatives, artificial fragrances that can irritate the skin, they are perfect for sensitive skin.” Plus, 100% Pure is GLUTEN-FREE. As with all natural products though, do take note if you do have nut or seed allergies. 3. taste – didn’t taste it! But they smell good enough to eat! 4. moisturize – a light cream that absorbs well. 5. everyday comfort – not greasy, absorbs well, spreads easily… smells divine… definitely, I could use this everyday! 6. lasting effect – yes, it works! Interested in trying some? WAIT till the end of the month, Alex+Von has some Freebies for a few of you!!! If you want to buy their products… Just wait! One of you is eligible to win a $25 gift card from Alex+ Von after I review 100% Pure Red Wine Resveratrol Face Serum and Cream, 100%Pure Organic Coffee Bean Eye Cream and Suki products. So, watch out in the coming weeks for more information! You can also comment here and I will make sure you know when the follow-up reviews are posted. 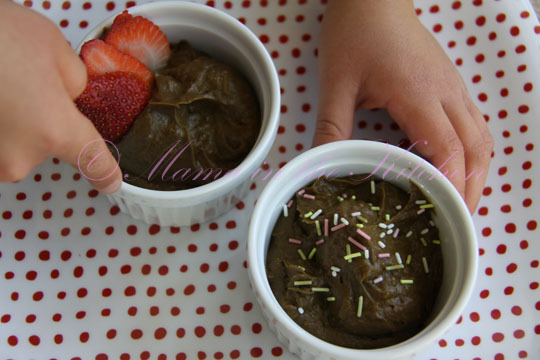 Heavenly Raw Chocolate Mousse is also heavenly to prepare with only 5 ingredients. You will have a delightful dessert in less than 10 minutes (clean up included)! When little hands help... you never know what they are going to add. Hmph... those sprinkles don't look like anything RAW to me, but what's important is he's helping me create a RAW TREAT that he absolutely loves. As my sous-chef, I think my son purposely miscounted the dates and added 1 more to our mixture. It was a little sweet for me and my husband, but my son was in dessert heaven. The recipe is reprinted here with the kind permission of Christy Morgan, chef and author of Blissful Bites. Makes 2 – 3 servings. 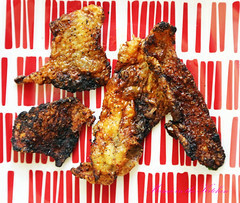 I wanted to follow Christy Morgan's recipe to the tee for my review of her book. 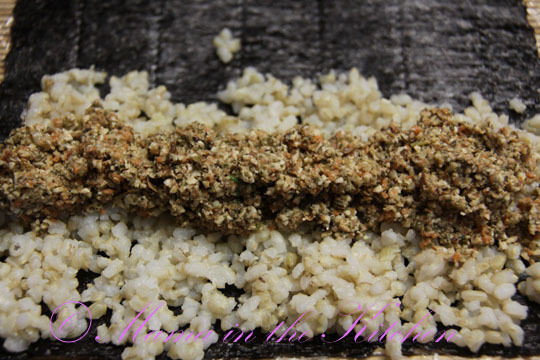 Feel free to use raw cauliflower rice (simply pulse in food processor until you get 'rice') for Mock Tuna Sushi. This makes a delicious Mock Tuna Sushi. Chef Christy Morgan says the walnuts here replace the omega-3 of the salmon and the sea veggies give a hint of fish flavor. I loved the taste and texture with the seaweed and rice. The only thing I would change next time is that I would use cauliflower rice instead of the brown rice for a real RAW meal. 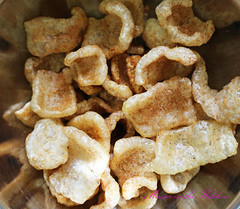 The recipe is reprinted here with the kind permission of Christy Morgan, chef and author of Blissful Bites. 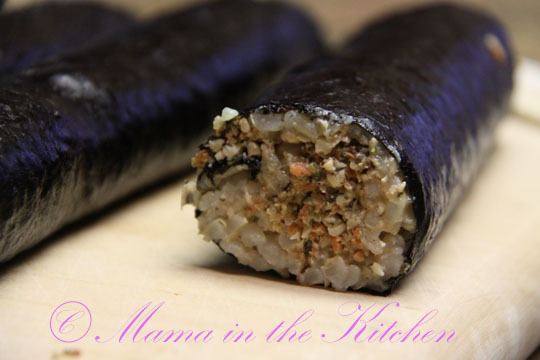 Serve with crackers or bread or as a filling for veggie sushi rolls. Makes 6 – 8 servings. 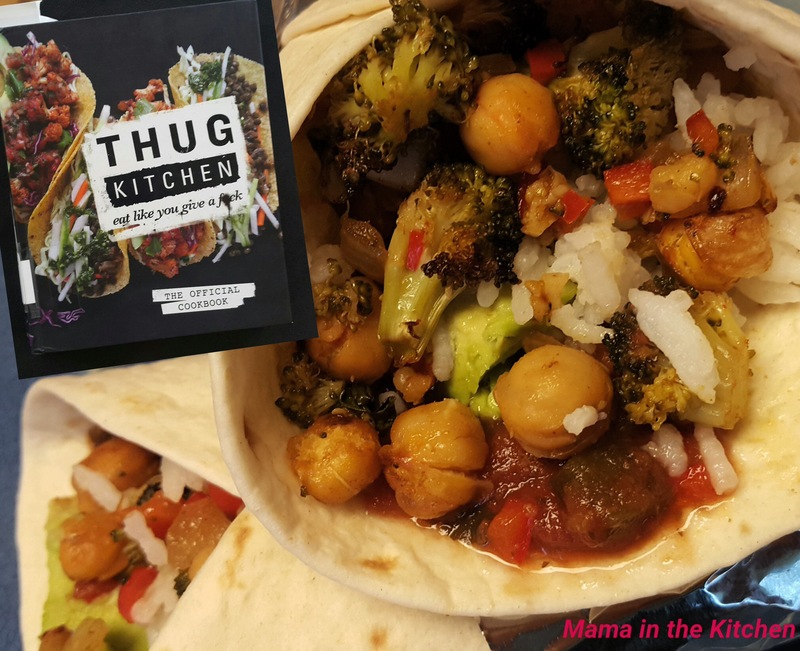 One thing that I love about being a Mama in the Kitchen is being able to read cookbooks and recreate the recipes that have inspired me to take my nose out of the book and move about in the kitchen. I have enjoyed looking through Christy Morgan’s new book Blissful Bites. I love how mainstream Vegan Chefs are now embracing more and more RAW foods into their own diets and recipe books – even a Macrobiotic Vegan Chef like Christy (check out her website and her video… she’s adorable)! At least 10% of all recipes in Blissful Bites are RAW! 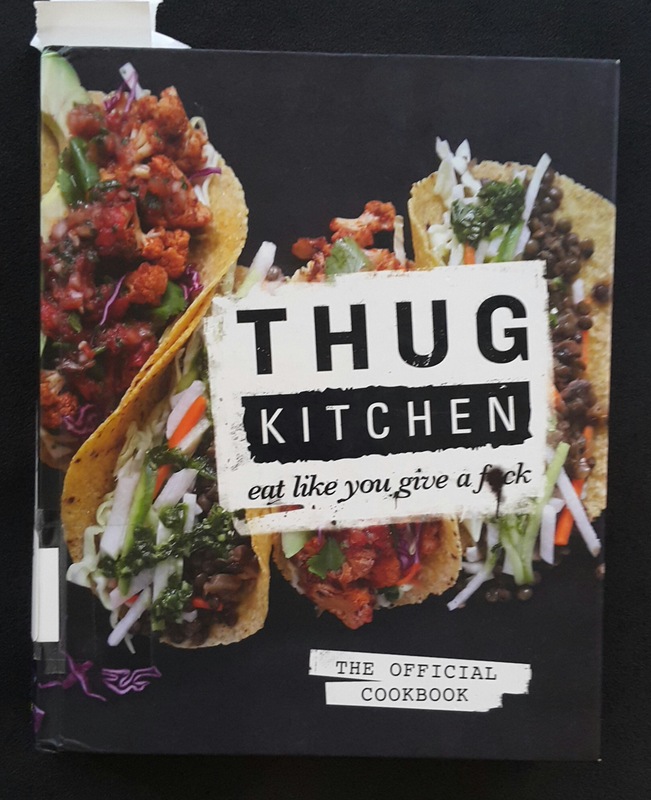 Unfortunately, the book was published before all the brown rice syrup hullabaloo, so it is an ingredient in many of her recipes (an option with maple syrup, which you can easily substitute). 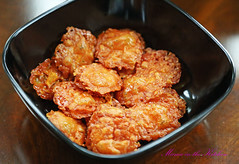 – the recipes are divided according to season, with a special place for ‘anytime’ recipes. 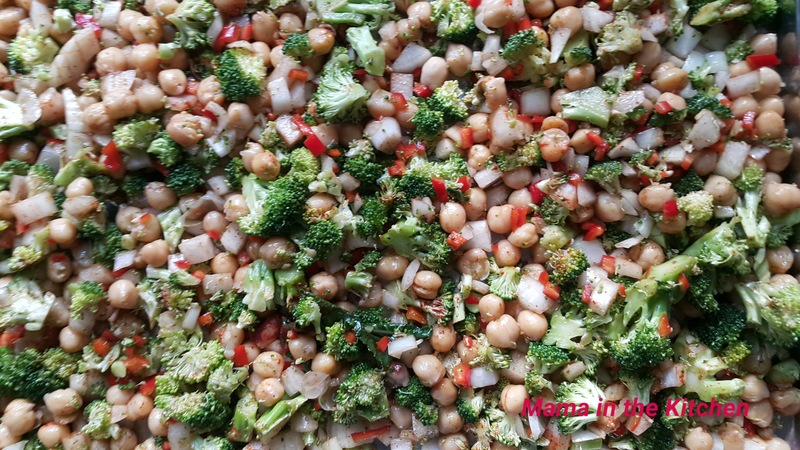 This is a time saver for busy Mamas who want to feed their families seasonally! – the sample menus at the end of the book is helpful. It even includes ‘perfect no-oil potluck dishes’ and ‘food for kiddos’. 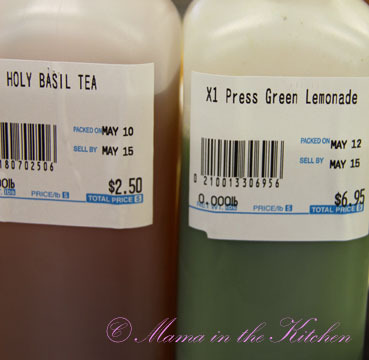 – labels for recipes include: RAW, GLUTEN-FREE, SOY-FREE, NO/LOW-OIL, and UNDER 45 MINUTES. 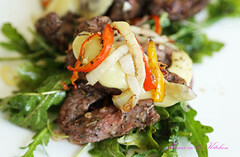 – all the recipes I have tested, both raw and cooked, taste wonderful! Ginger-Miso Dressing: I used unrefined sesame oil for the toasted sesame oil and raw honey (we have sensitivities and allergies to other choices) instead of the brown rice or maple syrup. Very tasty! Mock Tuna: you can serve as a RAW side dish or as a filling for Sushi. I chose to follow her Veggie Sushi Rolls recipe with brown rice for a half-raw, half-cooked dish. It was delicious!! You could also use raw cauliflower for the 'rice' in this recipe. Heavenly Raw Chocolate Mousse: we substituted the raw cacao powder with raw carob powder. My son went wild for this pudding! There are other recipes that have not been labeled Raw, but are or can be tweaked easily for Raw Foodies, like Mock Tuna (photo above), Ginger-Miso Dressing (photo above), and Blueberry Hemp Drops. 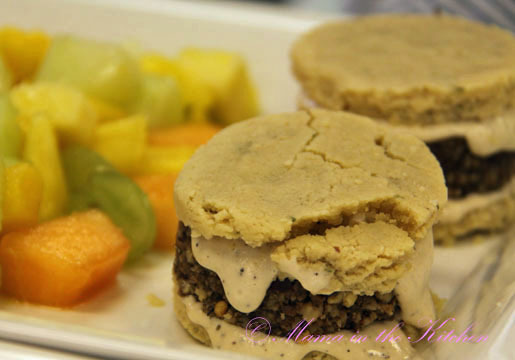 I am always looking for gluten-free recipes that really work, these Gluten-Free Savory Biscuits have a fantastic consistency and are delicious. 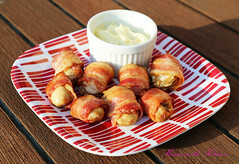 My boys enjoyed these very very much! 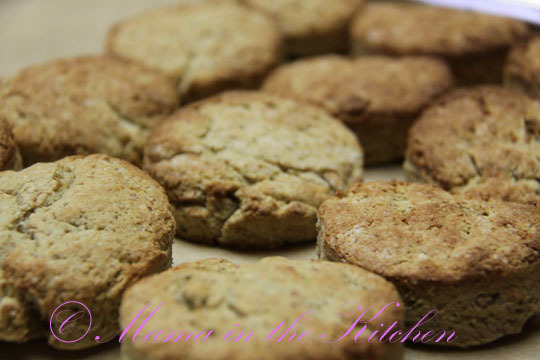 Note, the recipe states it makes about 5 biscuits only... but I made about a dozen. Lemon-Roasted Asparagus: these were very tasty. 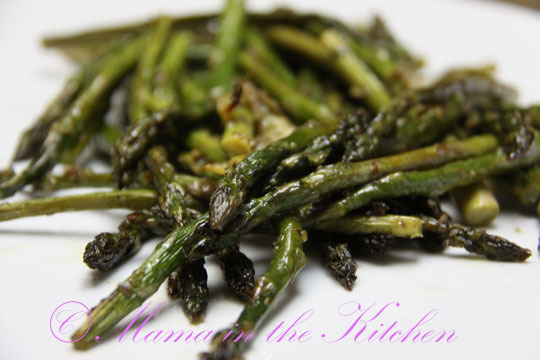 I did roast them much longer than the recipe states in order to get them 'crispy' and I would suggest tossing the asparagus spears in the remaining liquid after they have cooked just to make sure the flavors are mixed well before serving. We also tried the Azuki Beans with Squash and Chestnuts, which my son devoured. …and live on the East Coast, then you are in luck! Her East Coast Book Tour just begun this March. You just missed her in Miami and Ft. Lauderdale, FL, but you still have lots of time to see her in Washington DC, New York, Boston, Portland, Maine, New Jersey, Philadelphia. In April, she will be in Austin and Fort Worth, Texas. And yet, when I use them, they feel luxurious. The body scrub really helped the dry skin I received from 10 hours on a plane. The facial exfoliant did its job too. But, for me, the star of the mini-kit is the cream. I wish I had a huge tub of it. 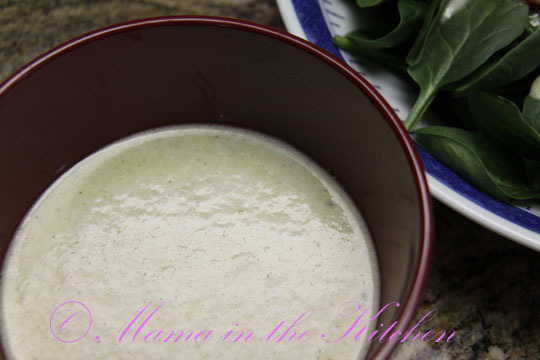 Soft, light and creamy, its consistency is like store bought body lotion without the toxins. It is absorbed easily into the skin and is very hydrating. 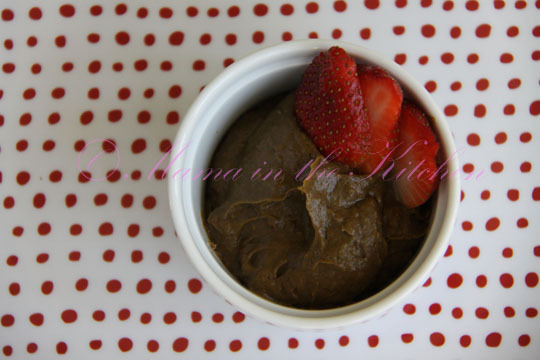 I honestly prefer the feel of Sprout’s cream to the Raw Chocolate Body Cream I have been making! 3. taste – you can safely eat them! No problem ingesting or absorbing toxins! 5. everyday comfort – it does not leave the skin greasy or sticky and it is absorbed easily and immediately. 6. lasting effect – I could use the cream everyday! 7. eco-friendly – according to Sprout material, their ingredients are “sourced from organic, Fair Trade, or small farms.”. What’s more, all Sprout products are handmade in New York. 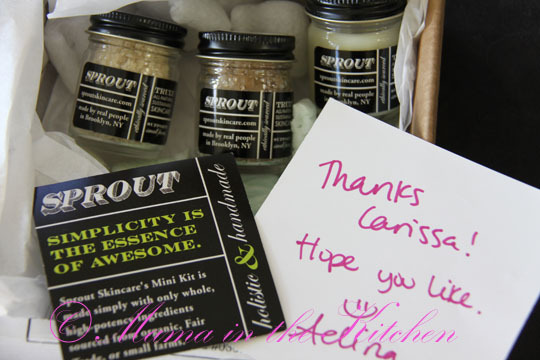 For people in the East Coast especially, Sprout Skincare Products make the perfect gifts for family and friends. For those who don’t want to spend time creating their own skincare products and have some extra money to spend, these products are one of the simplest and mildest on the skin! We have tried all different types of organic ‘healthy’ shampoos: from the brand names (Alba, Avalon Organics, Burt’s Bees, California Baby, Giovanni, Jason, Kiss My Face, Weleda) to the DIY methods (Castille Soap Shampoo and No Poo). I have not been extremely happy with any of them. They all just do the job. Because I exercise 5 times a week, I prefer to wash my hair almost everyday. Most of the organic healthy shampoos are very drying to my hair. What I don’t like is that they leave my hair feeling heavy, stringy and dull. The lather almost always tangles my very fine hair. When it is dry, the hair doesn’t feel as smooth as when I used to use non-organic commercial products and my hair tangles even when it is dry. 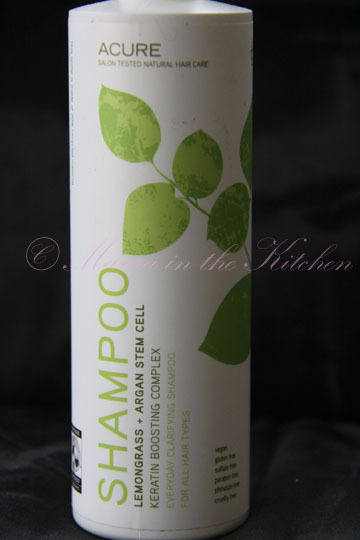 So I jumped at the chance of Acure Organics sending us their Lemongrass and Argan Stem Cell Shampoo to review. Argan Oil, as I mentioned earlier, is known for its amazing benefits for the hair, nails and skin. For the hair, it supposedly revives the dullness, promotes growth and prevents split ends. Needless to say, I couldn’t wait to try this product! When I opened the cap to smell the product, I thought it was too strong and overwhelming. But when I used it in the shower, the smell was more subtle. The feel was light, mild and it lathered up foam very easily. My long hair did not tangle so much as I washed it. This shampoo also didn’t leave my hair feeling heavy, dry or dull. In fact, I only used apple cider vinegar as a conditioner (1/4 cup apple cider vinegar to 2 cups water in a bottle) and my hair was easy to comb through and felt soft as it dried. My hair doesn’t tangle now when dry and I have used this product for about 2 weeks. It is the best of the organic ‘healthy’ shampoos I have tried so far. We thought we would try it on our son too, but we forgot about shampoos and eye sensitivities (son uses No Poo or California Baby). This product will sting little eyes, so I wouldn’t recommend using it for young children. 3. taste – didn’t taste it! 5. everyday comfort – definitely, I could use this everyday! 7. eco-friendly – Acure Organics prides themselves in a triple bottom line: green packaging, green products and social consciousness. Yes, I will use and buy this product again. 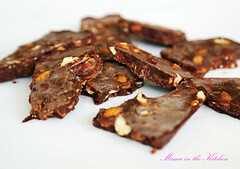 Want to give a gift of Raw Vegan Chocolates? But no time or want to make your own? Or do you just miss Milk Chocolate? There’s RAW hope for you yet! 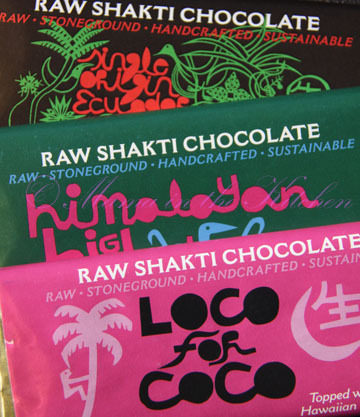 Check out Raw Shakti Chocolate from Asheville, North Carolina! Their chocolate bars are Raw, Stoneground, Handcrafted and Sustainable! 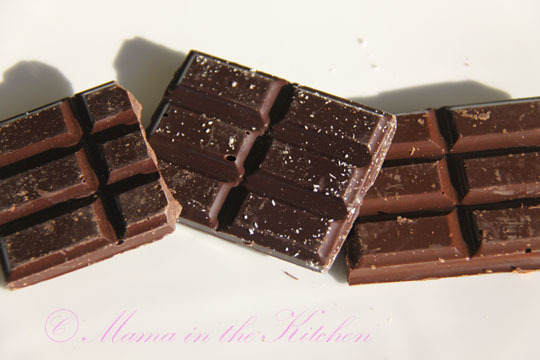 There are only 2 Raw Stoneground Handcrafted Chocolate companies in the U.S. that I know of. One on the West Coast called Sacred Chocolate, and one on the East Coast, Raw Shakti Chocolate. There is a clear difference between the two companies: the sweeteners they use. Sacred Chocolate, founded in part by David Wolfe, uses sweeteners like Maple Sugar, Inulin from Jerusalem Artichoke, Erythritol, Agave and Stevia. If you are like my son, you are probably allergic to almost all of these. Raw Shakti Chocolate, on the other hand, founded by Raw Foodie Don Rowe, uses only one sweetener: coconut palm sugar, one of the lowest glycemic sweeteners… to which my son is not allergic! Note: coconut palm sugar (like maple sugar and agave) is not raw as it is heated during the evaporation process but Raw Shakti Chocolate believes that it is the healthiest chocolate sweetener available. Check out their ingredient list too. I liked the simplicity of Single Origin Ecuador. My son was Loco for Coco. My husband was on an Himalayan High. We found the flavor, taste and texture of Raw Shakti Chocolate distinct and unique – unlike other raw chocolate bars we have tried before. The stone ground cacao and the addition of coconut palm sugar create a very smooth chocolate. The coconut palm sugar also creates a flavor reminiscent of malt, so these bars taste like milk chocolate! If you do contact them, please let them know you heard about them from Mama in the Kitchen! The MyChelle Samples I received. 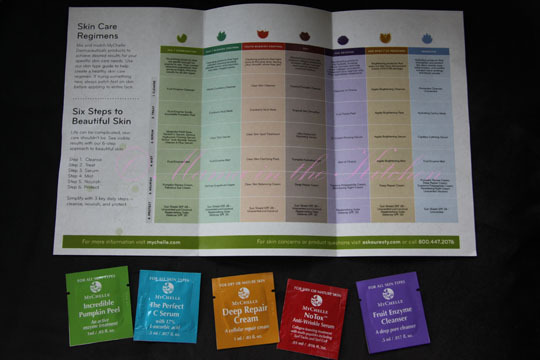 MyChelle Dermaceuticals were the first of all samples of the recommended cosmetics I received in the mail. My contact at MyChelle said they were running low on samples, so I only had enough to last for 24 hours. I realize that is usually long enough for me to figure out if my skin likes the products or not. I loved using this! It was thin and light with only a subtle fragrance. It was not sticky or harsh on my skin – and yet it was able to effectively take off my make up without stripping my natural oils. The directions said I would feel a tingling after 5 minutes, but I didn’t. I actually felt a lot of tingling after the 6 steps were almost done. I didn’t particularly like the smell on this one: it smelled like canned pureed pumpkin baby food. I preferred the NoTox Anti-Wrinkle Serum by far! The Perfect C Serum was light with a mild smell, but it felt astringent on my skin – like alcohol. Sure enough it does contain denatured alcohol. The NoTox Anti-Wrinkle Serum, on the other hand, felt wonderful on my skin – even if it too contains some denatured alcohol. It was light, mild, thin yet hydrating. 4. MIST: I didn’t have any samples. I really liked the Deep Repair Cream. It was creamy and thick but not at all greasy. It had a nice subtle smell too. This cream didn’t feel like it would have long lasting power because my skin just absorbed it all in a few seconds and left my outer layer feeling bare. The next morning, however, my face still felt hydrated. I applied some again after my morning routine and applied some makeup soon after, which glided on very smoothly and easily with no problem at all. My only negative comment: this cream does slightly sting my eyes. 6. PROTECT: I didn’t have any samples. 4. moisturize – upon application, my face did feel hydrated, but it didn’t feel like it would have lasting effect because I didn’t feel like the moisturizer left a protective layer over my skin. My face felt more exposed to the dry winter than usual… but then look at #6. 5. everyday comfort – products were not sticky, greasy or shiny. Make-up applied easily and effectively over it. 6. lasting effect – yes, surprisingly, my face still felt hydrated the next day – despite feeling like it wouldn’t! 7. eco-friendly – yes! According to their website, their products are pure and nontoxic, they are always cruelty-free and never tested on animals, 100% Vegetarian, most are Vegan! And they give to charity! I wish I had more samples to try for another few days. Based on the 24 hour trial, I would choose to use the Fruit Enzyme Cleanser and NoTox Anti-Wrinkle Serum daily. I liked the Deep Repair Cream and would probably use it everyday too if not for the slight stinging issue on my eyes. I would probably choose to use the Deep Repair Cream in the morning and combine it with a more hydrating product at night, like Argan Oil. 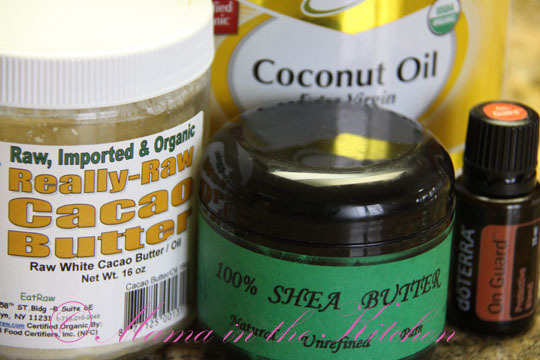 Ingredients for Raw Moisturizer: This is fantastic for the body. I don’t wake up with dry legs anymore especially in the winter. But, both my son and I broke out after applying some on our faces – must be the cacao butter…? So, I’m looking for a new healthy face moisturizer! For the past 6 years, I’ve tried everything on my face from simple extra virgin organic olive oil, coconut oil and/or jojoba oil, to healthy products like Dr. Hauschka, derma e and ZIA, to Raw Vegan products like Alkaitis, and even a very high end line Cellcosmet (a very generous gift). But time and time again, I was unhappy with these products for one or more reasons: too greasy, too sticky, too drying, too expensive, and the list went on. At the end of the day, I would just go back to my same old, same old commercial cosmetics brand – a product I’ve been using for ages, very reliable, not greasy, not sticky, not drying and a product my skin just feels at home in. But, I’m not happy to report that it is rated 7 out 10 (with 10 as most toxic) by the Cosmetics Database of the Environmental Working Group. – L’Ibri – these products and my skin did not get along at all! I’ve contacted the recommended companies I have not already tried before (and a few others like Bee Yummy, Sprout, Suki, Your Right To Be Beautiful) for samples which I can test for myself and review for you! Some companies have sent a few samples, some a lot and some have not even returned my e-mail yet. So, I’ll just start reviewing products as they come. Smell – is the fragrance subtle or too much? I mean, can I sleep well with it on? Sensitivities – does it sting my skin or my eyes? Do I break out? Taste – after I apply the moisturizer does the water I drink or food I eat taste like chemicals? Moisturize – does it hydrate my skin deeply? I don’t want my face to feel like a desert. Everyday comfort – is it too greasy, sticky, shiny? Does my make up easily glide on after I apply the moisturizer? Or am I facial glue? Lasting effect – when I wake up the next morning, does my face still feel hydrated? Eco-Friendly – is it organic and vegan (or at least vegetarian)?